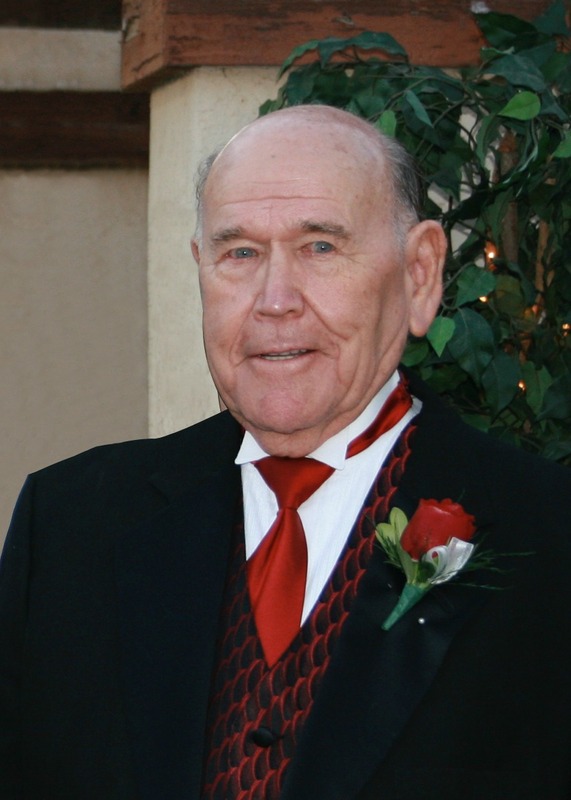 Floyd B Cronin, 90, passed away peacefully on April 12, 2017 in Mesa, Arizona. He was born in Foxworth, Mississippi on November 28, 1926. Floyd served 2 years in the Merchant Marines and 2 years in the US Army during WWII and the Korean War. Upon honorable discharge, he served a 2 year LDS mission in Central States, USA. He retired in 1991 from Ironworkers Union Local 75, where he was employed for over 30 years. He loved his family of 6 children, 21 grandchildren and 27 great grandchildren who brought him so much joy throughout his life. He dedicated his life to serving in various positions in The Church of Jesus Christ of Latter-day Saints and had a fervent, strong testimony of his Savior. Floyd loved to dance and he led a very active life enjoying many friends and loved ones right up until his passing. His contagious smile and laugh will forever be remembered by so many. Floyd is survived by his siblings Stanley Cronin and Dixie Rowley, sons Benny (Blanca) Cronin and Timothy (Laurel) Cronin, daughter Lori Slover (Kevin), 21 grandchildren and 27 great-grandchildren. He is preceded in death by his father Lindsay Bryant, mother Minerva A (Ball), brother Lexa Lee, sister Hilda, and 3 children Chris Robin, Linda Sue and Lisa Jo. Visitation will be Friday, April 14, 2017 from 6-8 PM at Bunkers University Chapel, 3529 E. University Drive, Mesa, AZ 85213. Funeral services are Saturday, April 15, 2017 at 10 AM, preceded by a visitation at 9 AM at The Church of Jesus Christ of Latter-day Saints, 1266 S. 32nd St., Mesa, AZ 85204. We will forever miss you and love you forever can’t wait to see you again. I’m sending prayers out to the whole family and i’am so so sorry for your loss!! I knew some of the family for quite some time and just want to let them know I’m thinking about them! He was so sweet he let me call him grandpa. And he gave great smiles and hugs. And once I stood by him while we sang a hymn. I will miss him. I will miss you grandpa. I will always remember the look on your face when you saw me the night before you passed. I love you with all my heart and will never forget how strong of a man you were. May god bring you home with open arms. While I didn’t know you’re G’pa, I think I can tell what a kind and amazing family man he was. Josh, Billy and Tim I send our deepest condolences to your entire family. May God be with you all as you say ‘see ya later’ to your Gpa. I will miss you Brother Cronin. Known you and family since we moved in the ward. Sorry not being there for the families. I just found out few minutes go. Lori you need to talk later call me. love all of you. i wish give you all a hug. Thinking of you at this special time. Our thoughts and prayers are with you. Aren’t we grateful for a knowledge of our Savior and His gospel.